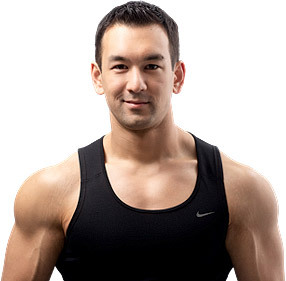 I’m a fitness coach and writer dedicated to helping guys and girls from all around the world build muscle, lose fat, gain strength and improve their bodies and lives. 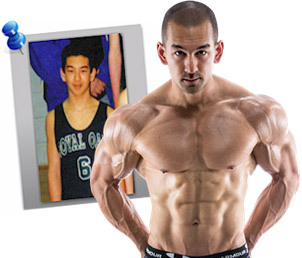 As a naturally “skinny guy”, I originally began training in my teens as a way to bulk up and add muscle to my frame. Like most people who are just beginning a fitness program though, I had absolutely no clue where to start. And yet despite all my hard work, the progress I made was only ever mediocre at best. Frustrated by the lack of results, I knew there had to be a better way and decided to stop putting my trust in all the run-of-the-mill “mainstream” advice being offered by every Joe Schmo trainer around. Advice that never seemed to be backed by any real evidence or sound reasoning in the first place. I knew that, like anything else, there must be a science to building muscle and burning fat. 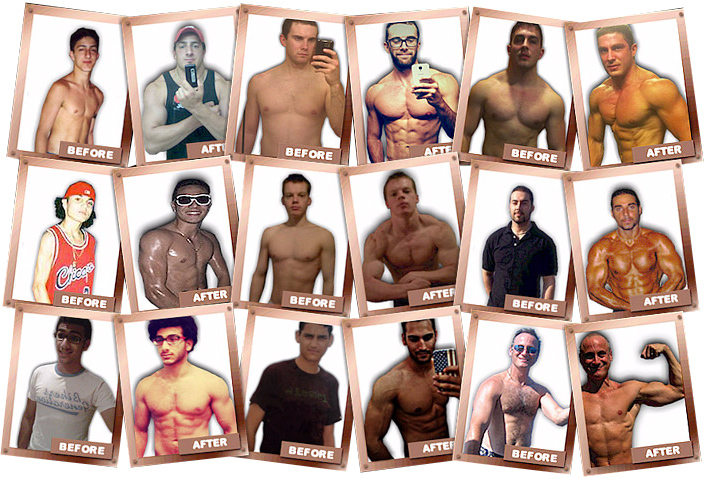 Until I was able to map out first-hand the legitimate, science-based methods behind achieving real muscle growth, fat loss and strength gains in the most effective way. The surprising thing I discovered was just how misleading and downright inaccurate the vast majority of fitness information being offered online these days really is, and how most trainees are being led down the completely wrong path toward their goals. Building muscle, burning fat and getting into impressive shape does NOT need to be complicated. It doesn’t require you to revolve your entire life around your training and diet (yes, you can have a social life, eat your favorite foods and have other hobbies outside of the gym while still getting into your best shape ever), and it doesn’t require you to spend a ton of money on supplements, programs and other fads and gimmicks that you don’t really need. It requires hard work, discipline and consistency, yes, but the process itself is far from rocket-science despite how unnecessarily over-complicated all the “experts” out there try to make it. But I also went on to inform and inspire hundreds of thousands of other people from all around the world using these very same techniques through the articles, videos, newsletters and products I’ve been promoting online since 2005. In an industry that has become completely overrun with false information and outright scams, you can trust my advice as an honest, reliable resource to help you reach your ultimate fitness goals in the most efficient, result-producing and practical way possible. My approach is honest, logical and is based on real facts and reasoning; NOT on hype, fads and bro-science. I teach you everything you need to know to get to where you want to be while discarding all of the unnecessary fluff. I have a zero B.S policy. Step #1 – Subscribe to my online newsletter. 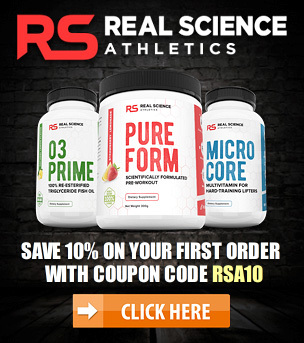 Join 100,000+ readers and get my science-based muscle building and fat loss tips, macro-friendly recipes, motivational strategies and more sent straight to your inbox every week. 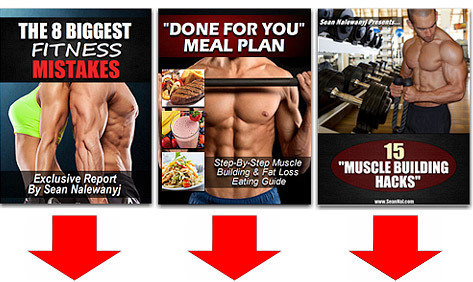 You won’t find any hype or nonsense here – just the usable, hard-hitting information you truly need to build muscle, lose fat and gain strength at your maximum potential. Step #2 – Connect with me on social media. Step #3 – Make your way through my free informational resources. Articles – The article section of this website is a literal goldmine of information and contains over 300 evidence-based posts discussing training, nutrition, supplementation, motivation and everything in between. I can guarantee that this will be some of the most useful, insightful content you’ll find anywhere on these topics. Videos – Subscribe to my YouTube channel and join over 85,000 others who regularly watch the video content that I upload each week. Recommended Stuff – Here you’ll find a collection of various resources that I personally stand by and recommend to improve health and fitness results even further. Step #4 – Check out the products and services that I offer. 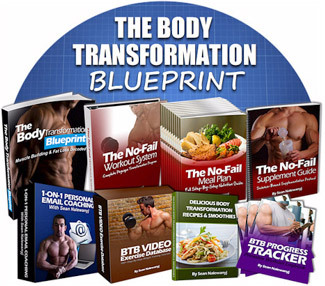 This is my complete, step-by-step muscle building and fat loss system that contains ALL of the most effective strategies I’ve learned over 15 years of dedicated fitness research, coaching and training experience. 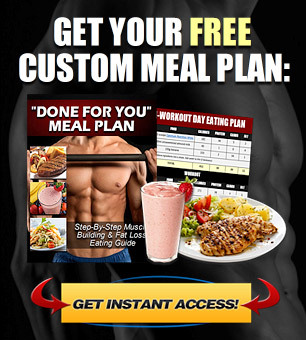 The complete package includes my comprehensive 250-page manual “Muscle Building & Fat Loss Decoded”, along with step-by-step workout routines, exercise video tutorials, easy to follow meal plans, science-based supplementation guides, recipe and smoothie books, progress tracking tools and 12 weeks of one-on-one personalized coaching with me to fully guarantee your success. This is my fully personalized coaching program where you and I work together in a detailed one-on-one setting. Included is a customized training, nutrition and supplement plan specifically tailored to your individual needs, along with weekly progress assessments, program modifications and ongoing support. If you have any questions or need help of any kind, don’t hesitate to shoot me an email and I’ll get back to you as soon as I can.